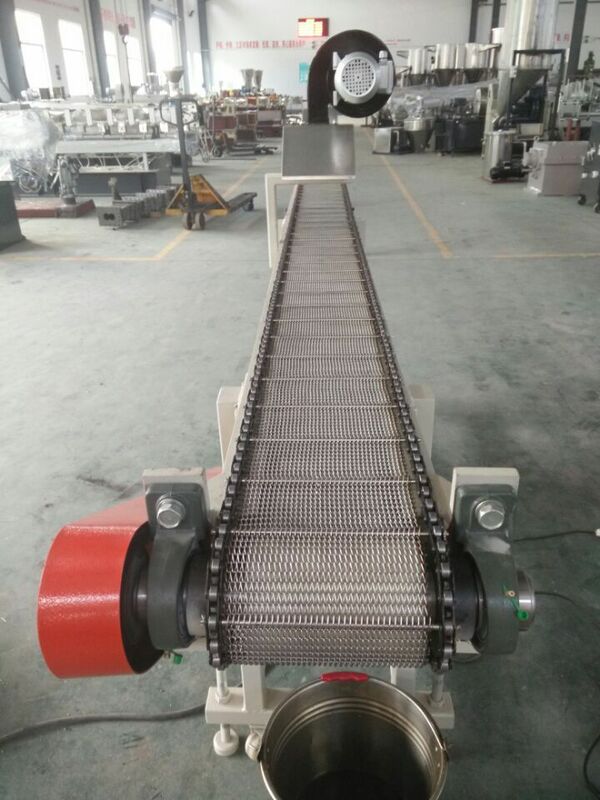 equipped with 4 sets of loss in weight feeder . 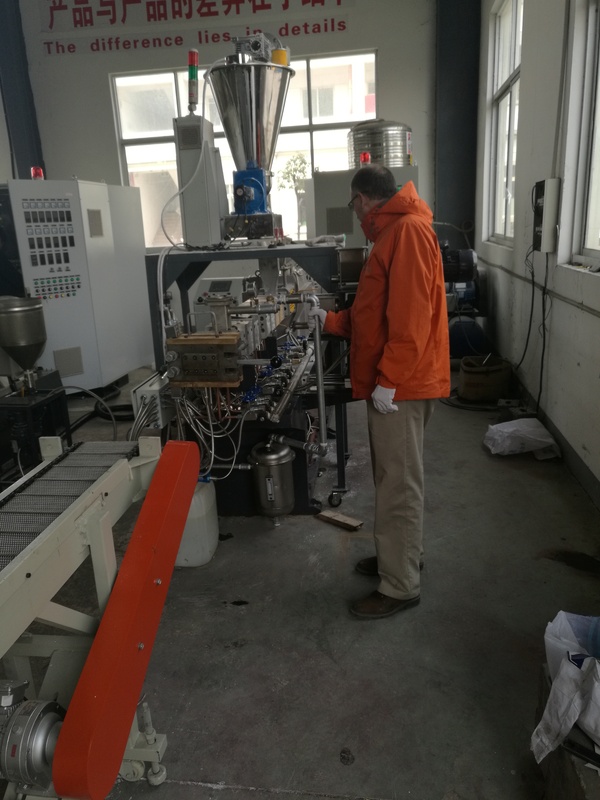 The biodegradable starch granule extruder machine work successfully in USA !! 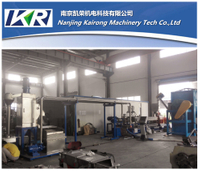 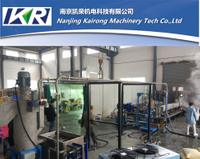 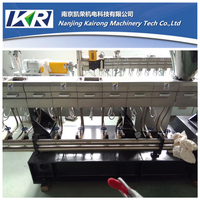 Early of This year, Kairong machinery customized a new extruder machine special for making starch and glycerinum granules ! 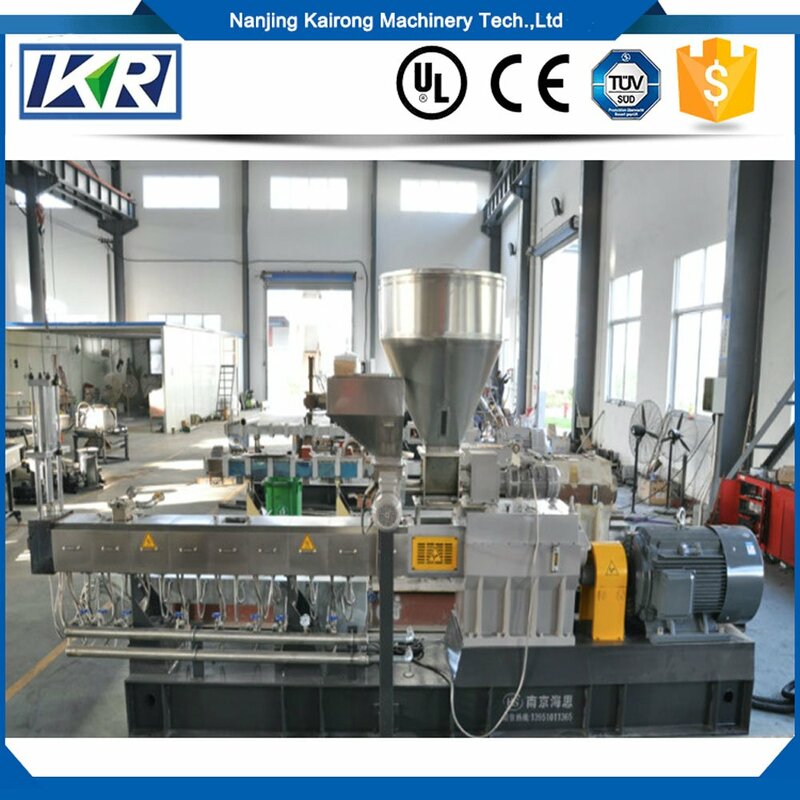 The biodegradable plastic extruder machine output approx 100 kg/h. 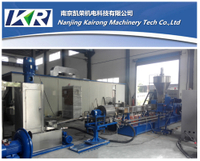 All biodegradable material instead of plastic, it makes the granules absolutely environment and very high standard. 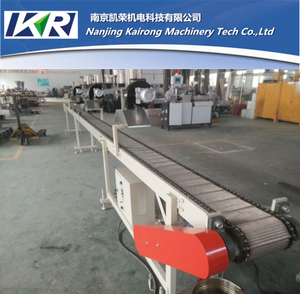 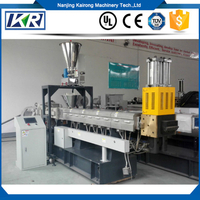 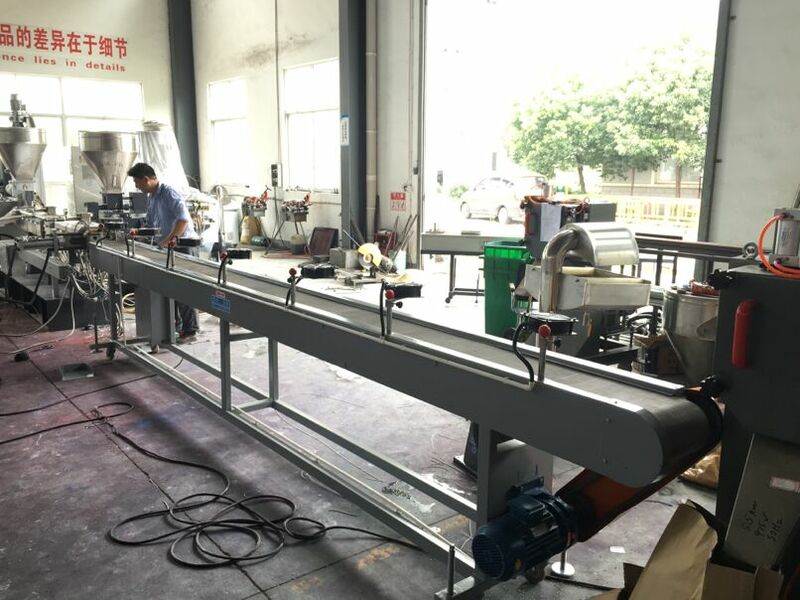 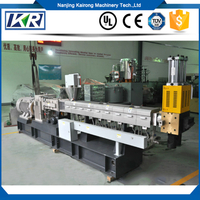 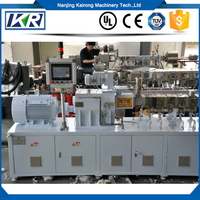 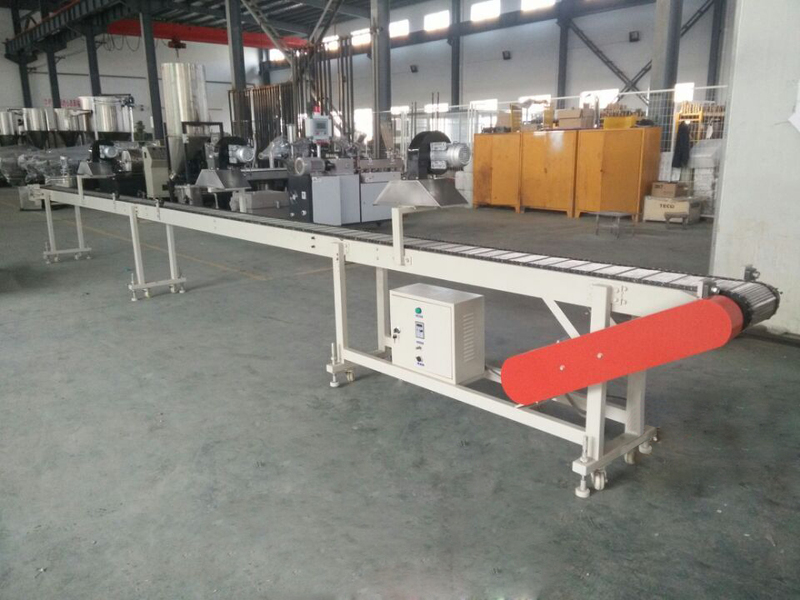 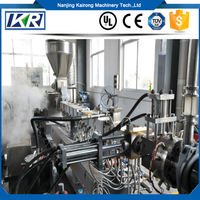 The twin screw extruder machine will equipped with side feeder and loss in weight feeder.